Semi-interpenetrating polymer networks (semi-IPNs) and interpenetrating polymeric networks (IPNs) have emerged as innovative materials for biomedical and pharmaceutical applications. The interest in these structures is due to the possibility of combining the favorable properties of each polymeric component of the IPNs or semi-IPNs leading to a new system with properties that often differ from those of the two single components. In this respect, polysaccharides represent an opportunity in this field, combining a general biocompatibility and a good availability. Moreover, the functional groups along the polymer chains allow chemical derivatization, widening the possibilities in semi-IPNs and IPNs building up. At the same time, materials based on proteins are often used in this field, due to their similarity to the materials present in the human body. All these overall properties allow tailoring new materials, thus designing desired properties and preparing new hydrogels useful in the biomedical field. In the present chapter, we chose to describe systems prepared starting from the most important and studied hydrogel-forming polysaccharides: alginate, hyaluronic acid, chitosan, dextran, gellan, and scleroglucan. Besides, systems based on proteins, such as gelatin, collagen, and elastin, are also described. 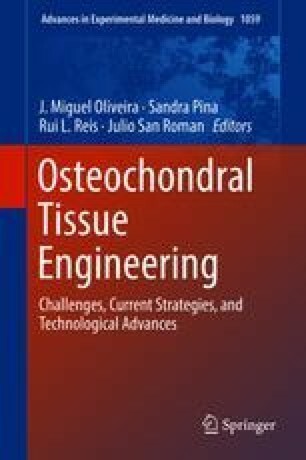 With this chapter, we aim describing the routes already traveled in this field, depicting the state of the art and hoping to raise interest in designing new promising strategies useful in biomedical and pharmaceutical applications.